A common situation affecting many religious denominations is shrinking memberships in their churches. A lack of people sitting in the pews on Sunday mornings normally means less money in the offering baskets and, in turn, less funds for programs in a church. Among the programming that smaller churches sometimes don’t have the funds for is leadership training, and that’s where the Synod of the Trinity’s Small Church Leadership Development program steps in. The Presbytery of West Virginia created its own Small Church Conference with the money it received through the Synod’s Small Church Leadership Development program. Each year, the Synod of the Trinity provides funds for its presbyteries so it can distribute the funds to its smaller congregations that are looking to provide training for their clergy and lay leadership. In 2014, the Synod distributed a total of $32,000 to its presbyteries, money that was divided up based on the amount of “small” churches in each presbytery. A church with a membership of 151 or less is considered a “small church” for this program. Many presbyteries used the money to help send leaders to different conferences and seminars. In the Pittsburgh Presbytery, it awarded a total of six grants to three pastors and two elders who were sent to participate in various leadership courses. The Presbytery of Carlisle also used the money to send three of its pastors of small churches to a Leadership Academy program while two others went to the Wee Kirk Conference and on a mission trip to Lebanon. 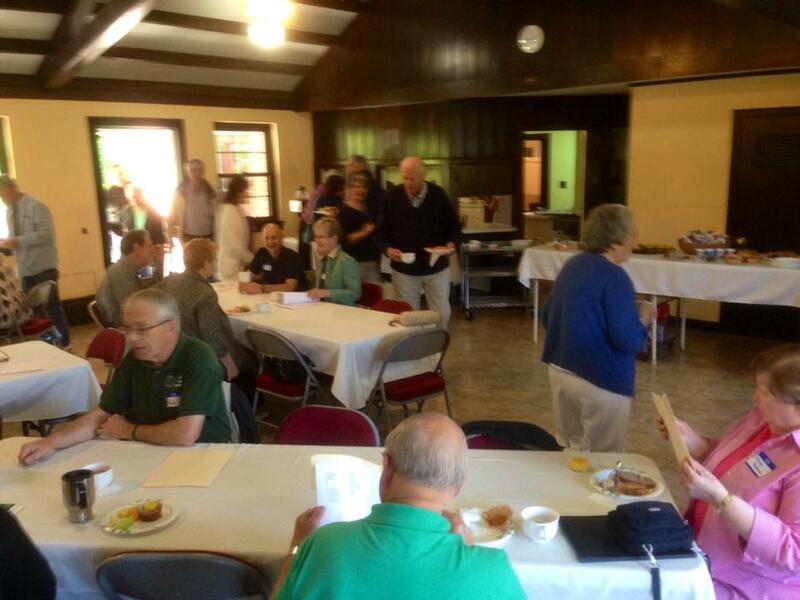 Upper Ohio Valley Presbytery also gave out a scholarship to help one person attend the Wee Kirk Conference while it sent others to a pastors’ retreat at Crestfield Camp and Conference Center. The remainder of the Small Church Leadership Development monies helped fund a reformation team retreat. 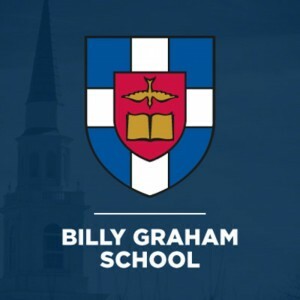 Northumberland Presbytery used the money to offset part of the tuition costs to send one pastor to the Evangelism Conference in Florida while the rest of the funds helped pay for some of the expenses to help another minister attend the Billy Graham School of Evangelism. A pastor in Northumberland Presbytery used the Synod’s SCLD monies to go to the Billy Graham School. “Both of these individuals came back to the presbytery as a teacher to teachers, providing us a resource for continuing education for our small church pastors,” wrote Executive Presbyter the Rev. Dr. William Knudsen. With 100 percent of the evaluation forms wanting a second Small Church Conference to be held, a follow-up program was in the works for 2015. The Synod’s Small Church Leadership Development monies supported two projects in the Presbytery of Lake Erie, aiding the work of the presbytery’s Congregational Life Committee. At Hasson Heights Church in Oil City, the money went toward funding a community music festival. Coudersport Church used the money for a Christian Education grant that enabled digital tablets to be bought and used for intergenerational educational experiences as well as programs for children and youth. In the Presbytery of Lackawanna, the money helped with expenses for its six churches that participate in the New Beginnings program. The program brings in an assessor who tours the church and community and meets with the congregation, staff and session/trustees to provide a comprehensive report that includes many personalized demographics. The church then undertakes a process that includes in-home group meetings and a final gathering to decide whether and how to continue its ministry. A leadership group is trained by the assessor to conduct the meetings and to present a final report/recommendations to session. Christ’s Presbyterian Church in South Philadelphia used the SCLD funds to create a five-week summer children’s ministry. Christ’s Presbyterian Church in South Philadelphia was the recipient of the Presbytery of Philadelphia’s portion of the SCLD money. 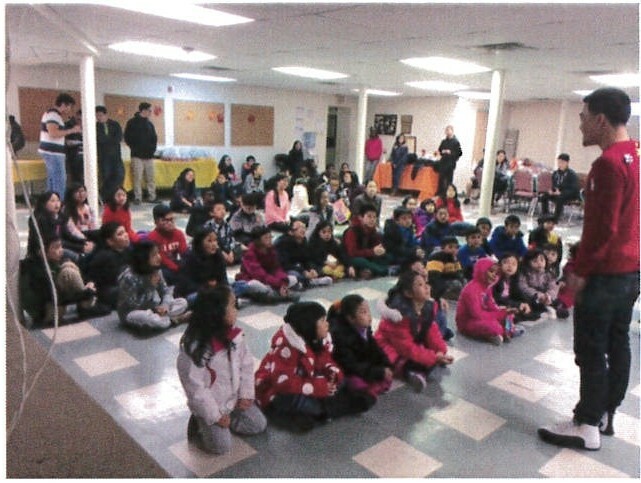 The congregation used the money to offset the costs of a five-week summer children’s ministry program that included three other local churches, the largest of which was a Mandarin Chinese congregation. The program included a week of vacation Bible School and four weeks of educational programming, with close to 150 children participating. The Presbytery of Redstone used the money for five different things, a list that includes scholarships, books and resources, continuing education, the annual retreat and individual coaching/consultation. Under “continuing education,” the presbytery sponsored two events for elders, preachers and ruling elders. Enrichment Day addressed the needs of lay leadership, while the second helped with training for pastoral care for those preachers in small congregations. “We are grateful for the support of the Synod of the Trinity for these funds for otherwise many of these activities and initiatives would not have been able to be undertaken by the presbytery,” the presbytery wrote.